iPhone Screen can be done while you wait within 30 Mintutes with 1 Year warranty !! What happens if your iPhone is damaged and the warranty is expired? Finding the right place to repair the phone is essential. 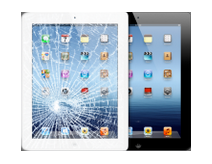 Repairs can be obtained from Apple or an independent repair shop. The Apple repairs take time. Those who prefer to choose an independent store need to consider repair costs. We offer valuable repairs at a fair price. Listed below are factors that prove that our prices are great. Unlike most repair shops, we do not overcharge our clients for iPhone repairs. We are committed to ensuring our clients get a fair price. 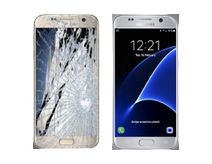 We offer a standard price compared to other repair shops. Our clients can easily afford our apple iPhone repair price. When you compare our prices with other stores, you will discover we are the cheapest. The iPhone can have several problems. The users do not have the ability to know the cause of the malfunction. That is why it is important to take the phone to the experts. The integrity of the experts is vital in ensuring the clients pay a fair price. We have various charges for different types of repairs. 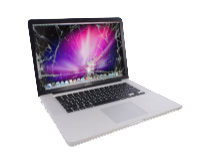 After detecting the problem, our technicians will let you know the repair costs. What escalates the cost of phone repair are spare parts. In fact, the most expensive repairs include screen replacements. However, some repair shops increase the cost of spare parts. We never exaggerate the price of spares. In fact, we only charge labor costs. We purchase the spare parts on behalf of our clients. That is why we can afford to offer cheap iPhone 6 glass repair. Many shops that advertise fair prices cannot guarantee quality services. That is what we are trying to change. Our focus is providing cheap but high quality repairs. We encourage iPhone users to seek quality rather than focus on getting low cost repairs. Poor repair services cannot guarantee the durability of the phone. Our commitment to delivering valuable repairs makes our services great. We understand that phones are important to the users. There are individuals that cannot stay for long without a phone. They need it for constant communication. Hence, we consider the repair time of the phone. 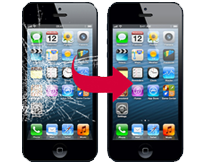 At an affordable iPhone repair cost, our clients can have a functioning phone within a few minutes. The repairs never take more than 30 minutes.